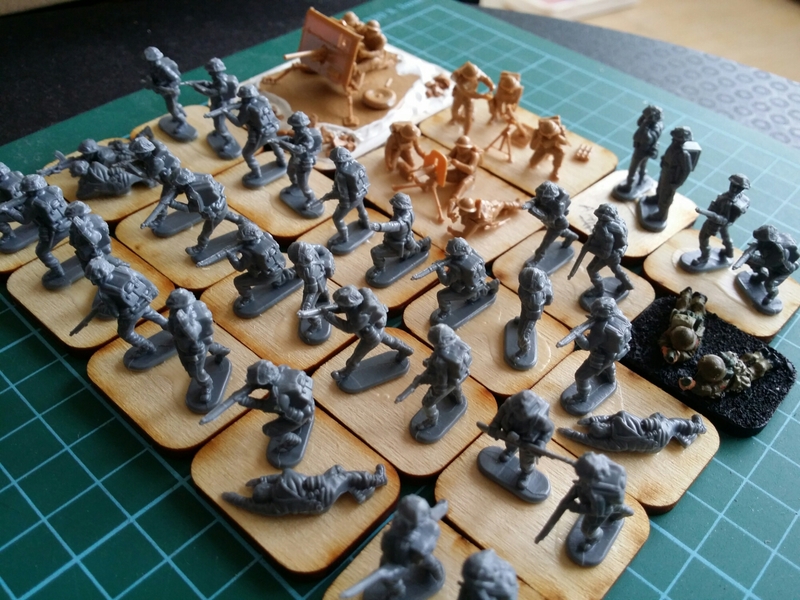 Some British WW2 Infantry, figures in grey are from the Model Soldier coming I believe and the light brown are Zvezda. The 2-pdr base has had some modeling plaster added to it to help bed it in finally as the model was a bit unstable just attached to the wooden base. 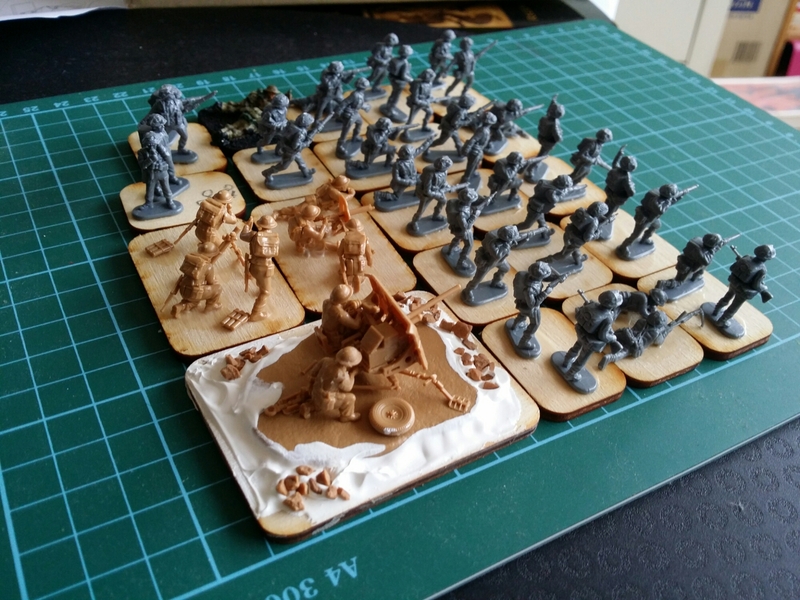 Figures are just now sitting and I’m letting the glue set before adding sand to the base and undercoating. Target is to paint them by mid week. Yeah. I think I have some practice coming up.